The competition for emerging markets has been fierce among the members of the Euro-Atlantic community. Brazil and India have been the main targets for western defense companies, directly representing their respective governments. The four main competitors selling fighter jets are Sweden’s Saab Gripen, France’s Dassault Rafale, US’s Boeing F/A-18, and the Eurofighter. In the case of Brazil, only the Rafale, F/A-18 and Gripen were in the competition. So Brazil decided to buy Swedish; so what? Such decision matters as it really came as a surprise as most experts were expecting a final between the usual suspects: Dassault and Boeing. To most experts, the Rafale and F/A-18 are much better fighter jets than their Swedish counterpart. Compared to the Gripen, a single-engine jet, both fighter jets are most sophisticated, better tuned radar, bigger weapons loads, better ability to hide from the enemy, and more range without refueling. 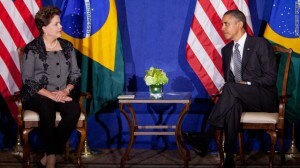 However, the decision by Ms. Rousseff, Brazilian President, seems to be more than just about technology transfer. The recent fraught between the US and Brazil caused by the Snowden’s revelations may have played something. Brazil has in recent time tried lower its dependency on traditional western powers in order to assert its rise as a world power. So I asked two emerging experts on Brazil and foreign policy, Patrick Thompson and Diana Soller, the following question: “Interesting move. Is it just about money or is it about avoiding any type of dependency on the West?” Both of them are currently writing their Ph.D. dissertation in International Relations at the University of Miami on important topics. Ms. Soller is researching on the global power transition and its impact on the international liberal order, while Mr. Thompson is analyzing the relationship between national development and defense policies in emerging powers. But seriously, my read of this decision accomplishes two goals for Brazil. First, in terms of economic development goals, it gets them access to technology only a little bit more sophisticated than the current fleet of aging F-5 fighters (which are US in origin), which means that they should have the adaptive capacity to make the tech associated with the Gripen their own relatively quickly and advance closer to the ‘technological frontier.’ This has been the modus operandi of Brazilian defense industrial policy since the 1960s and they are fairly good at this. 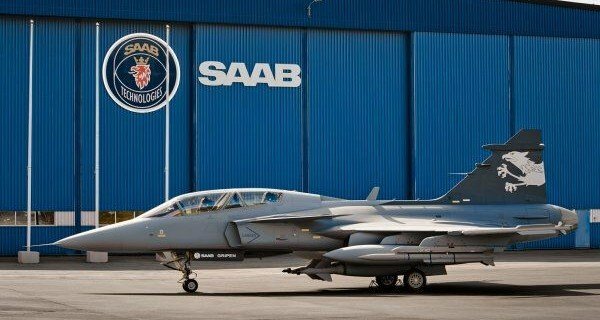 Second, to the extent that the Gripen is a made up of globally sourced subsystems rather than indigenously designed ones, including many major subsystems from the US like GE jet engines, Brazil’s move is politically shrewd. In terms of geopolitics, it ties the purchase into global supply chains rather than producing dependence on a particular OECD country, like the US or France. In terms of domestic politics, the US spying flap likely having made the purchase of the F-18 untenable, buying the Gripen affords access to US tech and yet puts distance between the two countries. Thus, given the domestic politics of the situation, the Gripen is a second best solution. The cost is a big deal too, given the fact that Brazil’s rise is only as good as its continued macroeconomic performance. Please bear in mind that history makes fools of us all and without much greater knowledge of the specifics of the agreement, in particular the offsets, it is tough to be any more precise in analyzing the situation. I do agree with him [Mr. Thompson] in the political part though. The fact that the relationship U.S.-Brazil has been undermined by the spying issue makes very difficult for Dilma [Rousseff] to buy American aircrafts without strong internal opposition. Second, I believe there is a trend, at least among the democratic BRICs [Brazil and India]: diversifying the sources of defense and raw materials to avoid being politically dependent of any great power. Doing so somehow has the indirect consequence of undermining the U.S. position in the international affairs. A few authors have said that this is related to safeguarding the national interests, which are not necessarily coincident with the American ones.